Thai food is incredibly delicious and diverse and includes anything from fish to pork to vegetables with lots of rice. Som Tom salad, a Thai delicacy, is spicy, sour and a little sweet and is often eaten with roasted chicken and other delicious dishes, which are usually stir fried with local herbs, vegetables and chilies. Spice is a big part of Thai food and the intensity can take a little time to get used to. 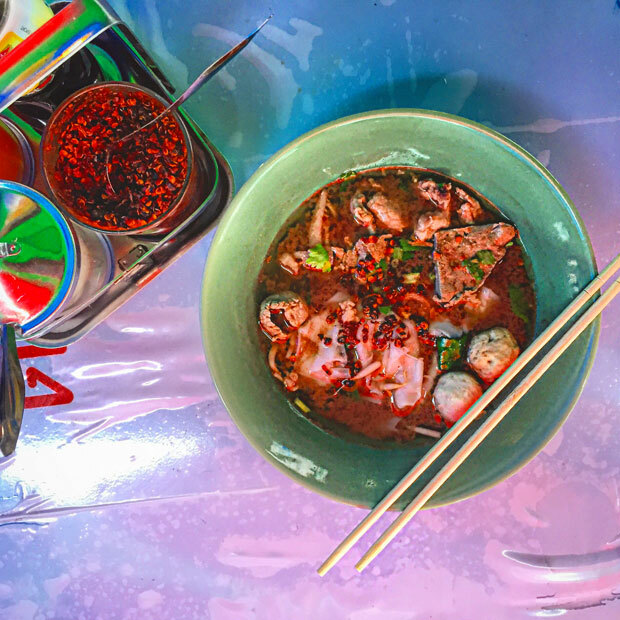 Thailand has helped me to appreciate spicy food on a whole new level and I often find myself asking for a traditional condiment of fish sauce and chilies to add an extra kick to my meals. Spicy doesn't begin to explain the painful yet delicious experience of a typical Thai meal. Heavily seasoned with chili peppers, a meal of Tom Yum Gung, fried rice, coconut curry and papaya salad can sometimes feel like a long hike to the top of the mountain with a delicious dessert waiting at the top as a reward for a job well done. And that brings me to the sweets. The fruits that can be found in every market are wildly delicious and packed with flavor. From dragon fruit, to pineapple and papaya there’s so much to sample and it’s all served up bite sized in a convenient plastic bag with a wooden skewer to eat with. Rice is everywhere in Thailand. 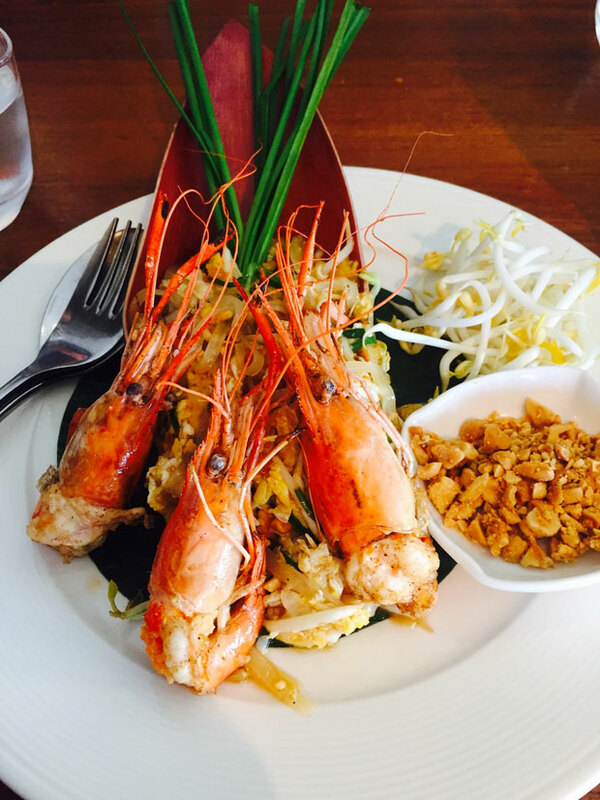 From the noodles to the desserts—it’s the foundation of most Thai dishes. It has become so deeply ingrained as a food staple that the Thai phrase for eating food – “gin cow” - literally translates to "eat rice." Full flavored, nutritious and versatile, I will miss the mountains of delicious rice. Going out to eat is very common in Thailand where a standard meal costs $4-5 USD. Tha Wang Pha has an abundance of welcoming and delicious restaurants that serve everything from spicy chicken soup and Pad Thai to Pizza. As our town is very small, one of the highlights of our days is spending a few hours eating, drinking and conversing about our discoveries and experiences. A great time for reflection and a delicious meal, eating out with friends has become one of my most cherished daily activities.